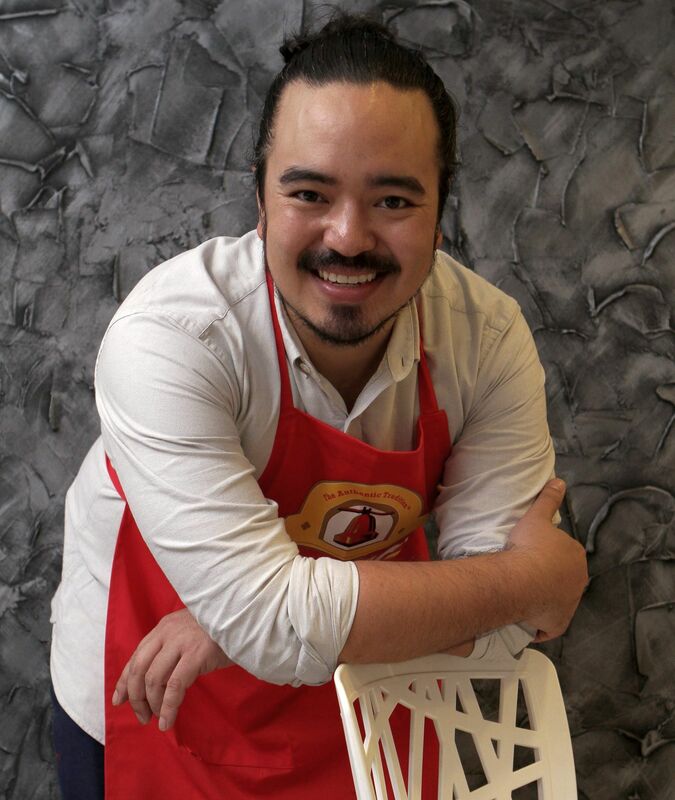 ADAM Liaw has come a long way since emerging as the 2010 MasterChef Australia winner. He has written three best-selling cookbooks – Two Asian Kitchens, Asian After Work and Adam’s Big Pot – with a fourth on its way this year. In 2012, this qualified laywer began filming a food and travel series called Destination Flavour which sees him going on a road trip to Japan and Australia. This year, he will explore Scandinavia and its unique food scene. Recently, Liaw was in town to launch Mission Foods’ Little Red Food Truck. Fans of Liaw can now expect to taste his recipes as Mission Foods, maker of flatbreads and tortilla chips, has engaged Liaw to create the menu for the food truck. There are five main items on the menu – Laksa Fried Chicken Wrap with Pineapple Salsa, Beef Bulgogi Kimchi Wrap, Coconut Prawn Wrap with Spicy Tamarind Mayonnaise, Lamb Shank Rendang with Sweet Radish Achar, and Roast Carrot Hummus with Avocado Wrap. 1. Beef Bulgogi Kimchi Wrap. Click here for recipe. 2. 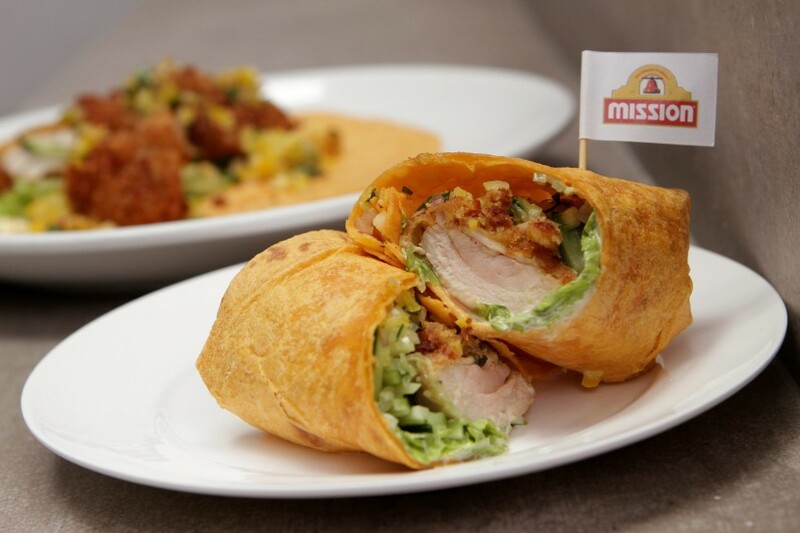 Laksa Fried Chicken Wrap with Pineapple Salsa. Click here for recipe. – The main ingredients in any rempah recipe like the laksa paste is chilli, shallots and garlic. When making the paste in advance, you do not have to soak chillies and dried shrimps in wáter. – When blending the paste, add oil instead of wáter. When you do this, you do not have to add oil when frying the paste. Otherwise, the paste needs to be cooked quite long until the water completely evaporates. The longer it cooks, the colour of the paste changes. – Don’t stir the paste when cooking. Just shake the pan to move the ingredients to cook it evenly. – One of the important steps in making the laksa recipe is mixing the paste with the chicken. Then cook chicken in coconut milk only. – When cutting herbs, cut them thinly only once so that you can taste the flavour of the herb. If herbs are chopped many times, the flavour is lost and so is the texture. – Wraps need a balance of flavours. In this recipe, the laksa is not the usual laksa and the salsa is needed to add sweetness to the wrap. Texture is also needed for the wrap such as cucumber and it has to be cut thinly. – Asian-style marinate has sugar and starch and is less sourish. Marinate only penetrates the meat as much as 2mm deep. – Sweetness comes from the pear, sugar and honey. 1. One of the most important thing to do after cooking is to have a clean kitchen. Take a plate and put the ladle on it so you do not end up having a messy workstation. Small things like this make a big difference. Plan each steps of cooking to minimise the times to wash the chopping board. 2. If you don’t panic in the kitchen, you have a lot more time to do stuff and it gets faster. 3. When marinating, best to use a zip lock bag to mix the marinate with the meat. It holds the marinate better. – Most times, the pan is not hot. – Most people like to play with the ingredients on the pan. They love to move it around a lot. Think about cooking and don’t stir. When cooking a steak, the more times you flip it, it cooks faster. The problem with that is the more times you hear the sizzling sound, the more moist that escapes from the steak. 5. Whether it is a cheap or expensive knife, it needs to be kept sharp at all times. – at 140 degrees Celcius, you will see one or two bubbles. – at 160 degrees Celcius, you will see a little more bubbles. – at 180 degrees Celcius, the bubbles are slightly more violent. These are some basic ways to see how hot the oil is. 7. Paper towels do not really absorb the oil from fried items. Best way to do it is to let the fried items to drain on a wire rack and the oil will drip down. How can you tell if the steak is rare, medium rare, medium or well done? The doneness of the meat can be measured with a touch test. Touch the base of your palm beneath the thumb, it feels soft, which means it is raw. Then touch your thumb and index finger, followed by thumb and middle, then ring and finally pinky fingers. As you go further, the muscles tighten. This process is likened with the meat being rare, medium rare, medium and well done respectively. The other option, of course, is to use a thermometer. The gourmet wraps are for sale on The Little Red Food Truck which will be making its rounds in selected spots in the Klang Valley starting June 15. 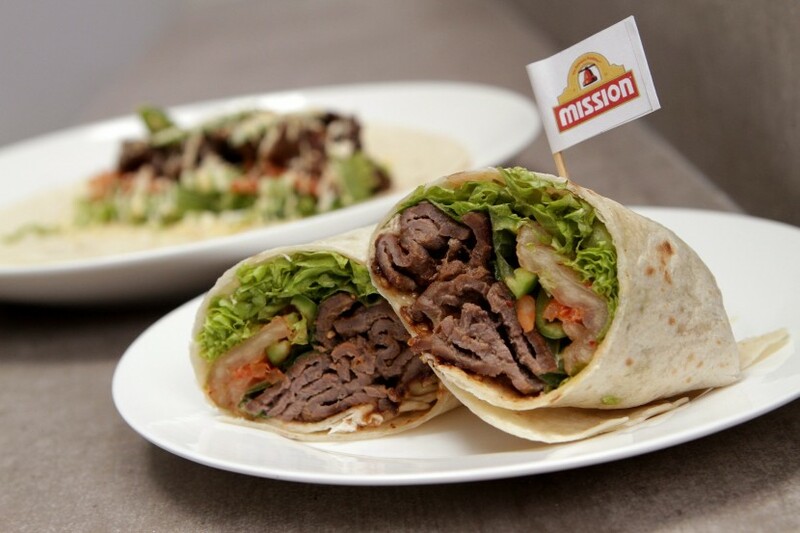 A set weekly schedule will be shared via Mission Foods Malaysia’s Facebook page: www.facebook.com/missionfoodsmalaysia. Price ranges from RM 6.99 to RM7.99 (not inclusive of GST).